The Polar Regions are changing more rapidly than any other region of the planet as the climate changes. No one has noticed these changes more than the indigenous peoples living in the Arctic, who have called the region home for limmenia. Thier intimate knowledge of the region is all the more reason to pay attention to the observations they are making. Indigenous communities from all across the circumpolar region have been witnessing and feeling the effects of climate change. However each community is distinct, and the individual problems each community faces as a result of climate change vary from community to community. The Arctic has been the home of many indigenous peoples for millennia. Over the past several thousand years many arctic cultures have via oral tradition passed down indigenous knowledge from generation to generation - knowledge that has helped their peoples to survive in one of the harshest climates on the entire planet, where the average temperature often drops to -50°C in some regions at certain times of the year. This indigenous knowledge has helped indigenous peoples to "read" the environment in which they live, for example helping them to predict when and how to hunt certain types of animals as opposed to others, or when ice and snow conditions are favourable for certain activities. Indigenous knowledge that has been passed between generations for millennia has become less useful with the arrival of significant climate change, however. Weather patterns and sea ice conditions are no longer as regular or predictable as they used to be. The thawing and freezing of ice come earlier and later in the year respectively, and phenomenon such as thunderstorms - which normally do not occur north of certain latitudes - have been seen in places in the Canadian Arctic. In some areas, new animal species from more southern and more temperate climates have started to appear in certain parts of the Arctic. In many cases the local indigenous language has no name of its own for these invasive species. Climate change also has the potential to affect access to the species indigenous peoples harvest in order to survive. The thinning sea ice has made it difficult for indigenous hunters in North America, for example, to safely hunt their traditional sources of food such as seals, polar bears and walruses, all of which spend a great deal of time on the ice during their life cycles. The migratory habits of caribou that a great number of indigenous peoples use as a staple meat have shifted. Hunters are finding it necessary to travel farther and farther in order to bring home enough to eat. For indigenous peoples who herd and harvest reindeer as part of their traditional sustenance activities (particularly in northern Finnoscandia and Russia), climate change is affecting food availability on the tundra and taiga on which reindeer graze. The change in availability and distribution of certain animals as a consequence of climate change not only poses a challenge for finding food, but it also has far-reaching cultural effects for many indigenous Arctic peoples. While there are a wide variety of cultures that exist within the circumpolar region, and customs are by no means uniform, there are certain commonalities that exist amongst many cultures. In most indigenous cultures, whether from Alaska, Canada, Greenland, Russia or Scandinavia, the relationship between humans, their environment, and the animals they harvest for food is very important. Quite often indigenous communities have societal rules and traditions that govern the entire process of hunting and processing food. Societal roles in this regard in many communities are often clearly defined. For the Inuit in Alaska, Canada and Greenland, for example, the men hunt, fish and gather, while the women clean and cut the harvested animal. A young man's first catch is celebrated in many Inuit communities. There are reciprocity rules in many communities as well that stipulate how the spoils of a hunt are to be divided within a family or community. These distribution channels are usually within a family network. This has served as a particularly useful community survival mechanism over the millennia, as it assists certain members of a family or a community who might not be as lucky or who are not able to hunt. Decreased availability of certain species as a consequence of climate change might make it more difficult for indigenous Arctic cultures to use traditional subsistence hunting practices. This not only would have detrimental consequences on the physical health of indigenous communities, as they would be obliged to rely more heavily on imported foodstuffs (which tend to be of inferior nutritive quality than food caught in the wild), but it could also be detrimental to the social and cultural fabric of indigenous societies. Archaeological evidence suggests that indigenous Arctic populations have adapted to drastic climate changes before. Survival for most communities has always depended on the ability to adapt to living in such harsh conditions. Before many communities were forced to become sedentary in the 20th century, entire communities would follow their food sources if it depended on their survival. The ability to be nomadic allowed many Arctic indigenous populations to survive. The arrival of European culture and governing practices to the Arctic has brought changes in the manner in which indigenous populations can practice traditional subsistence activities. Governments have introduced regulations that limit the amount of subsistence activities (especially in the case of fishing) and what can be done with animals and animal products. For reindeer herders in Finnoscandia, regulations prevent herders from killing predators that attack and kill reindeer in the their herds. The fact that both the emergence of a cash economy, especially with the coming of firms wishing to exploit the vast oil and mineral resources that exist in the Arctic, and the introduction of certain policies of regional and national governments over the past century, have sedentarised indigenous communities, meaning the traditional adaptation strategy of moving elsewhere to follow their traditional sources of food is no longer an option in many cases. In recent years, the participation of indigenous cultures in decisions that affect their way of life at all levels of government has increased. A number of co-management systems have been devised in which indigenous populations have a say in shaping policies that affect them. Organisations from the local to the trans-national levels have been established in order to provide indigenous Arctic populations with an avenue through which their needs and concerns can be addressed, including issues concerning climate change. Just because many indigenous peoples still prefer to obtain their food via traditional means, this does not mean that they have remained behind the times. Indigenous communities are quite modern and use modern technology to go about harvesting their traditional animal food staples. The use of skidoos, motorboats, and GPS systems allow many modern hunters and herders to travel farther and faster than their ancestors did. However with the reality of climate change and the resulting shift in migration patterns of certain animals, many hunters are finding it necessary to travel further and further away to find enough food. However for some indigenous peoples, access to modern technology can be an issue. In order to obtain the kinds of equipment needed to hunt, money is needed. While many people living in indigenous communities live comfortably, there are many in various populations who are living below the poverty level. Those living below the poverty level often have a hard time purchasing modern hunting equipment, which can go a long way in helping to catch many staple foods indigenous populations have survived on for centuries. The amount of food that comes from traditional harvesting practices varies from house to house, community to community, and region to region. However in many indigneous communities, a significant amount of the food the indigenous population eats comes from hunting, fishing, gathering and/or herding. All cultural traditions aside, even most of those who have jobs and earn good wages need to practice traditional methods of subsistence in order to maintain good health. The issue of how climate change is affecting indigenous populations is a highly complex one. In addition to climate change, political, economical and social factors are putting stress on indigenous communities. It is often difficult to tell where the effects of one factor begin and those of another end. This is a challenge social scientists studying indigenous Arctic communities must face when conducting research. What is the most important and immediate issue for many indigenous peoples, however, is how they will adapt to the changes in climate they are being confronted with. 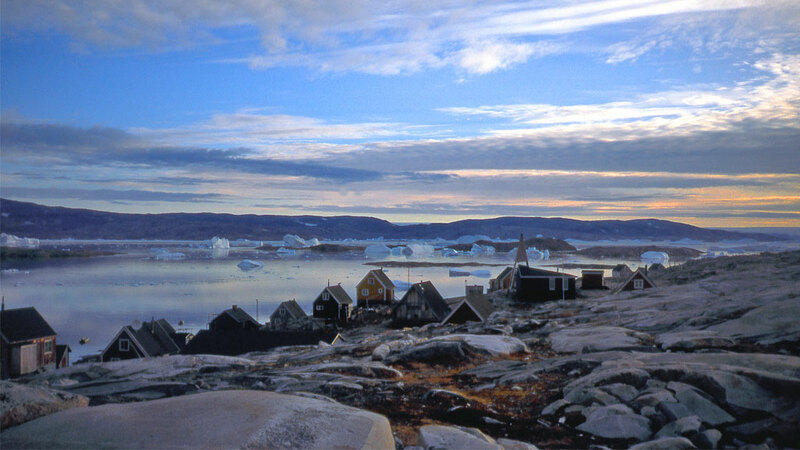 Adaptation strategies will vary depending on the needs of individual communities, and determining the best possible strategies for Arctic communities is one of many goals of certain research projects within the context of the International Polar Year 2007-08. Climate change has the potential to affect access to the species indigenous peoples harvest in order to survive.